Irony is defined as when the opposite of what you expect to happen occurs. Which cartoon is the best example of an ironic situation? Explain your answer. Cartoon #1 is the best example of an ironic situation. Social is defined as: pertaining to, devoted to, or characterized by friendly companionship or relations. 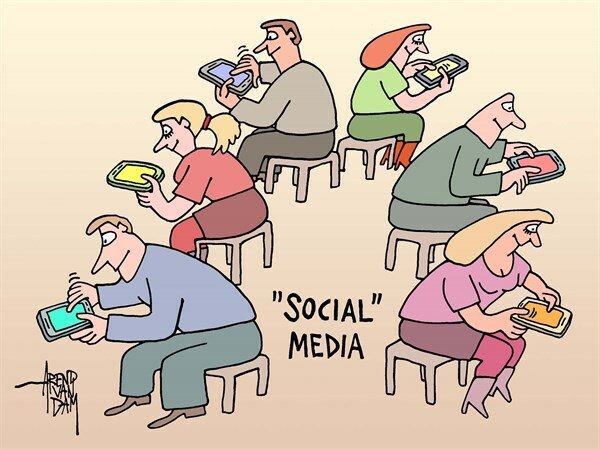 The cartoonist is pointing out the irony of the name “social media”. Usually when people gather together it is expected that they will socialize: talk, exchange ides, enjoy one another’s company.